Since the Google Assistant is rapidly becoming available in different markets it is import for brands to think about an international voice strategy. It is essential to take the right steps with your marketing approach when entering global markets. Below you can find 3 tips for a voice marketing localization strategy, and the adaptation of voice content for foreign countries. Your brand strategy may work great at your home country, but it doesn’t mean your brand will be successful in other markets. In conversational marketing it is even more important than before; you are actualy talking to your end consumer in their local language. For webpages three in four customers living in Europe, Asia and South America prefer to buy products in their native language. You can imagine for voice services this number is even higher. The success of a voice marketing localization strategy relies on effective multi-country brand management. Each country you have a presence in needs a different approach. Your overall brand identity should be the same in every market, but it should be changed in order to really connect to the locals in that market. When entering a new market you should understand your consumers’ language, culture, and behaviors. Only local experts will know how you should talk to customers in a country. So never use Google Translate or other translation tools. The algortims of these tools miss the context of the intended message. Also keep in mind the difference between spoken and so called written language. A famous example are idioms that don’t translate well from country to country. In English when it’s raining heavily, you might say: it’s raining cats and dogs. In other languages this might be a very confusing expression. In Dutch we have a famous saying: ‘There comes the monkey out of the sleeve’ as you noticed when reading this sentence it doesn’t make any sense when translated. Another point of attention are weights, measurements, date formats and currencies (metric versus imperial, celsius versus fahrenheit). Next you should also respect societal norms and create a ‘cultural guide’ for each language or country. For example in a lot of languages there’s a difference between a formal ‘you’ and informal ‘you’, in English it’s always just ‘you’. Also the tone of voice might differ form country to country, the Dutch are for example very direct, and in other European countries you may tone down the message. For every market: Speak their dialect and highlight the local culture. Author: Joey Scheufler, founder and CEO Prappers Media. Prappers Media is the most experienced voice marketing expert in The Netherlands, working for large clients around the globe. With our international knowledge we’re an expert in translating and localizing your voice app idea, so it fits every market. 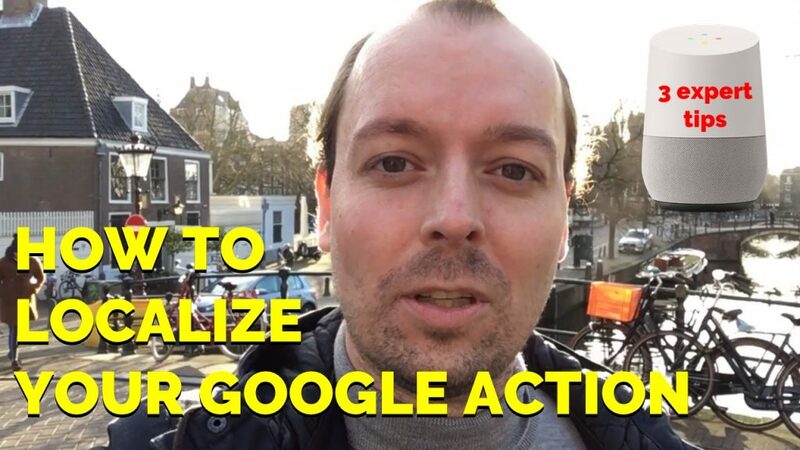 We create strategies to develop and/or market your Google Action or Alexa Skill.